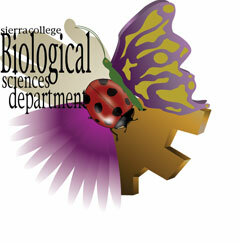 The Biological Sciences Department strives to provide exceptional instruction, the most current information, and varied learning opportunities. One of our primary goals is to promote the understanding of and appreciation for natural ecosystems and the responsibility humans have, as living organisms, to maintain those ecosystems in a functional state. We also recognize the importance of preparing students for transfer and for career opportunities in biological sciences, allied health fields, environmental assessment and monitoring, forest and/or wildlife management, and similar fields. We embrace the concept of life long learning for personal growth, enrichment and understanding. In support of this we provide a diverse curriculum including laboratory activities, discussion sessions and field experiences. Many of our courses satisfy the general education requirements for learning within the natural sciences. Our excellent transfer curricula more than adequately prepare students to successfully continue their education at four-year colleges and universities.